Read copies of secretive newsletter: "Extremist Watch"
Voice of the Voiceless has been leaked copies of a little-known newsletter for animal researchers called Extremist Watch. The publication prints intelligence on the animal rights movement, including activists home addresses, who is dating who, details about the personal lives of activists, and much more. Little-seen outside of private animal researcher and law enforcement circles, I am making two issues of Extremist Watch available publicly for the first time. Here's a teaser if you're an animal rights activist: If your name isn't in these newsletters, the name of someone you know probably is. *Activists speak out on innaccuracies in "Extremist Watch"
Extremist Watch is a secretive publication published by private intelligence firm Information Network Associates. INA is the company responsible for a recent conference on "animal rights extremists", as exposed last month on VoV. 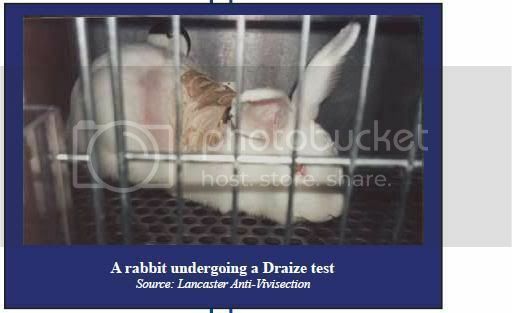 The publication's primary goal appears to be tracking the grassroots animal rights movement and underground direct action activity in the U.S., with an emphasis on anti-vivisection activism. I received both issues anonymously, and the sender did not identify their source. It appears that Extremist Watch is a controlled-circulation newsletter, only distributed to those in animal abuse industries and (presumably) law enforcement. "Distribution of this document is.... strictly prohibited"
Non-Disclosure Statement: Extremist Watch is a product of INA, Inc. Distribution of this document or the information contained herein, regardless of the distribution method, to individuals outside of your organization without express permission from INA is strictly prohibited. What is initially striking is Extremist Watch's size and frequency of publication. The copies posted here are 20 and 25 pages, and the newsletter is published weekly. Both issues are marked as "Volume 4", with (at this pace) means there are over 180 issues to date. At a (speculated) average of 20+ pages an issue, this means INA has published over 3,600 pages of data is has collected on the animal rights movement, distributing it directly to law enforcement and the animal research industry. "It can be expected this movie, when available on DVD, will be used to inspire and recruit more activists to the animal rights movement." "DC VegFest" at George Washington University - "VegFest is a free outdoor festival, created to explore various aspects of vegetarianism." "Historical data has demonstrated that animal right activity level typically cycles and is impacted by seasonal changes for a number of different reasons.... Colder weather forces many activists indoors"
INA's sources: Spies, surveillance, or just the internet? The immediate question raised by a publication like this is if the data is sourced from moles within the movement, or physical / electronic surveillance. After reading Extremist Watch, I can say the answer is: probably not. In fact, nearly everything published in Extremist Watch appears to be internet-sourced. The bulk of the "intelligence" comes from INA's close monitoring of animal rights websites, including Midwest Green Scare, the Let Live Foundation, and Voice of the Voiceless. While INA's clients pay a premium for subscriptions to this newsletter, INA makes massive profits trolling the internet for publicly available information, repackaging it, and passing it off as "private intelligence". An added irony, in light of INA's sources, is the newsletter's name: Extremist Watch. Anything that truly gave insight into, or predicted, the type of "extremism" that INA's purports to protect its clients from would never be published on the internet. Extremist Watch publishes benign information on benign events such as demo times and locations, activist legal updates, and animal rights conference panel subjects, all of which are publicly available on the internet, and requires absolutely no insider access into the animal rights movement. The newsletter reaches comic proportions in sections like "...trends in direct action attack preparation", in which INA claims to predict "direct action trends". Yes, through internet surfing, INA bilks its clients by claiming to have predictive ability with Animal Liberation Front attacks. That anyone believes INA has the ability to predict the next move of a totally nebulous, clandestine, anonymous movement speaks to the naivete of animal abusers on the A.L.F. Levels of direct action activity are expected to continue to decline, in the absence of significant events that might incite illegal activity. As always, significant events in the animal rights movement... can significantly alter forecasts relating to direct action levels. If necessary, in the event of significant incidents that woul be expected to influence statistics forecasts, INA will make the appropriate adjustments and analysis and reissue forecast predictions under separate cover. In other words: "In the event our predictions are wrong due to something we can't predict, we'll make another prediction". I spoke with several people who confirmed the information published could only have come from their Facebook profiles - profiles set on "private". This is proof INA is using fake profiles under fake names, having themselves added as "friends" by targeted activists, and publishing the information mined from these activist's private Facebook accounts. I can personally testify that information published about myself in Extremist Watch was taken directly from my Facebook page. While animal abusers put on an incredulous face over activists publishing their home addresses, they (or those who work for them) see nothing morally schitzophrenic about publishing ours. In portions I've redacted, INA lists four activists by name, and publishes their home address. One activists I spoke with had his home address published when INA pulled a house number off of a private photograph of a house captioned "our home". Here's the kicker: INA in one of their documents (not published here) refers to SHAC as having "launched a relentless campaign of terror". The primary tactic of SHAC which earned them the title of "terrorists" was their publishing of animal researcher's home addresses. In almost the same breath, INA turns around and publishes the home addresses of high-profile activists - doing the same thing for which they call activists terrorists. I showed several activists in private portions of Extremist Watch that were written about them, and asked: Is this information about you accurate? The overwhelming response was: absolutely not. *"I had nothing to do with the event INA credited me with organizing". *"The part in Extremist Watch that mentions (redacted) is more than just inaccurate, its libelous". I first discussed Information Network Associates (INA) in a post last month on their secretive conference on "animal rights extremists", after being leaked the itinerary for the event. Finding a niche in selling intelligence on "ecoterrorism" and animal rights activists to naive clients, INA publishes newsletters, holds conferences, and sells "threat assessments" on events which may be activist targets. INA is based in Harrisburg, Pennsylvania. The release of these newsletters come in the wake of another Pennsylvania-based scandal involving a private intelligence company collecting data on activists. In September it was revealed another private intelligence firm - the Institute of Terrorism Research & Response - was being paid by PA's Department of Homeland Security to author intelligence bulletins about non-violent environmental and animal rights groups. Pennsylvania, it seems, is a hotbed of private intelligence gathering on the animal rights movement. In an upcoming post for which I am still doing research, I will cover INA's little-known use of female informants in the animal rights movement. When you strip away its lofty claims, Extremist Watch is nothing more than a tabloid for moneyed animal abusers. One part gossip publication, one part patchwork quilt of lies, these issues of Extremist Watch give the animal rights movement a rare look at through the magnifying glass law enforcement and animal abusers have us all under. Extremist Watch: documenting true "extremism"